Julie Mohacek is an active Volunteer for the Alzheimer's Society and is involved in their local fund raiding activities. 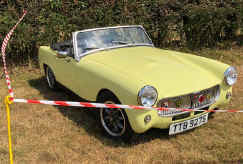 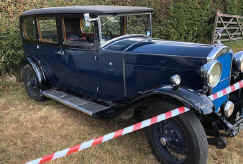 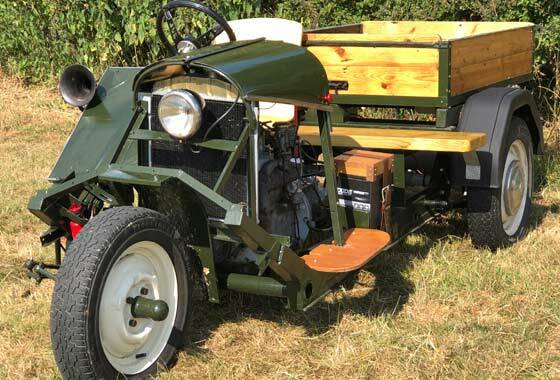 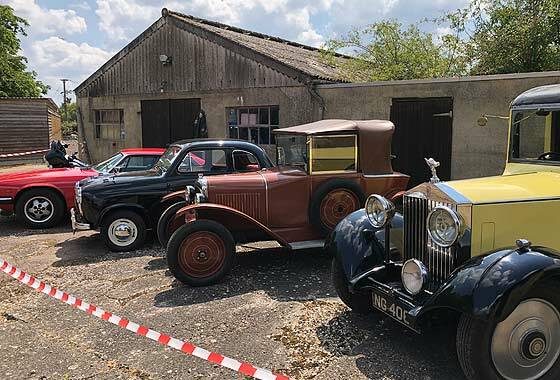 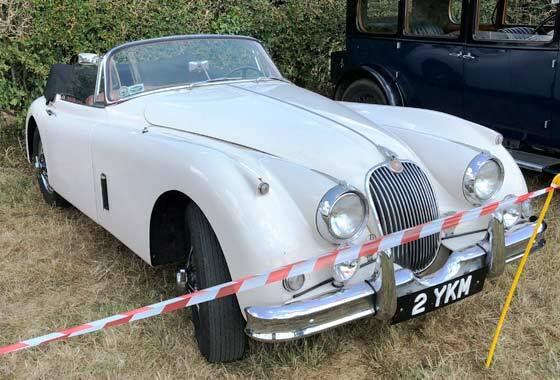 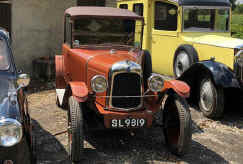 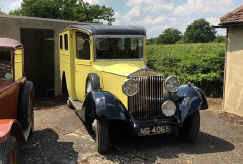 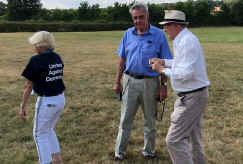 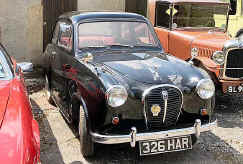 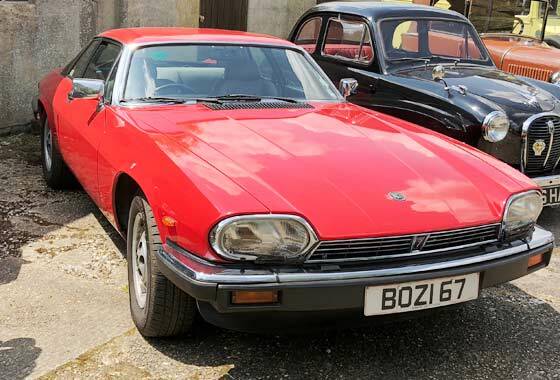 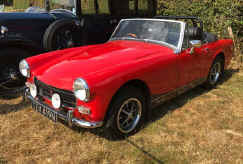 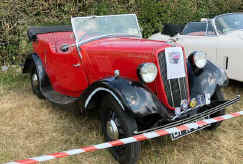 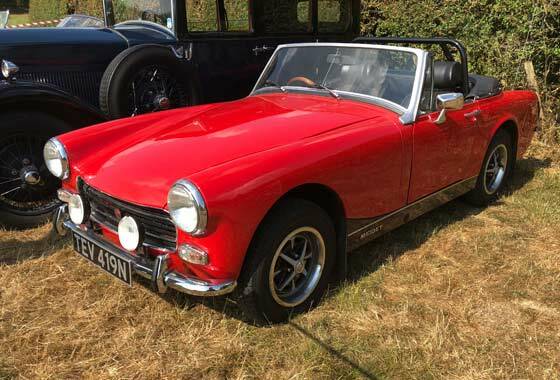 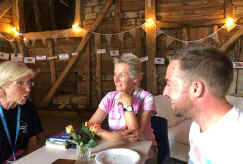 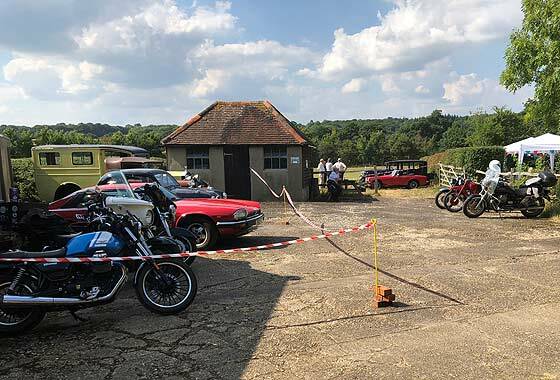 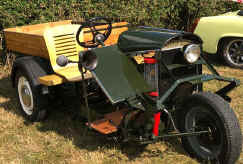 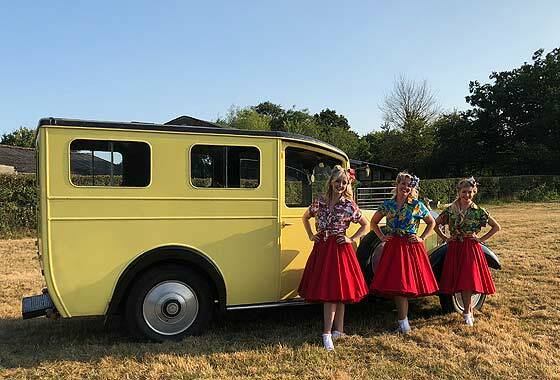 Being the wife of the Chairman of the Surrey Vintage Vehicle Society, Bozi Mohacek, she roped him and also some of the Members of the SVVS to display their vehicles at the Alzheimer's Society's "Commemorative Vintage Celebration of 100 Years of Great Britain", held at Church Farm. 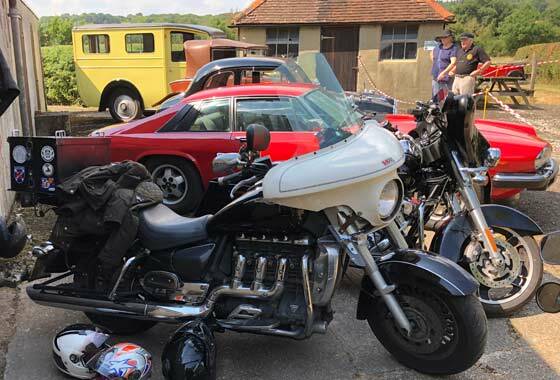 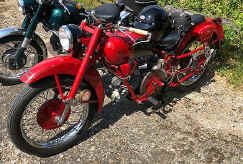 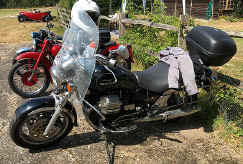 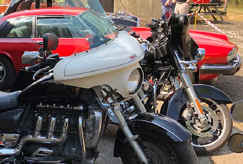 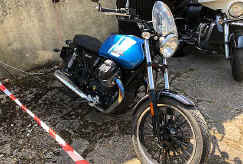 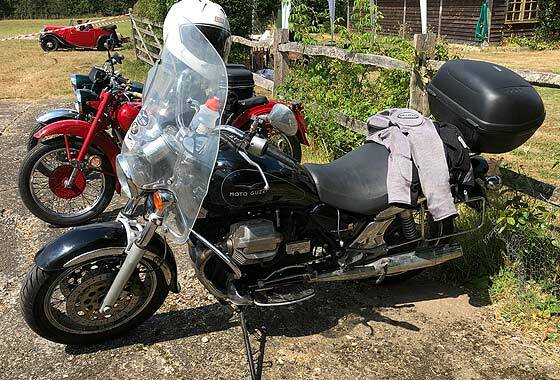 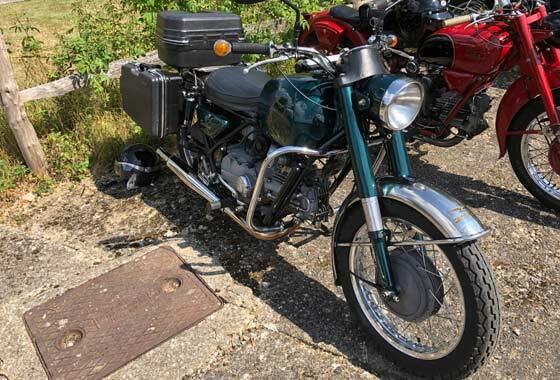 One of the volunteers has connections with the Motor Guzzi owners who also displayed some lovely motorcycles. 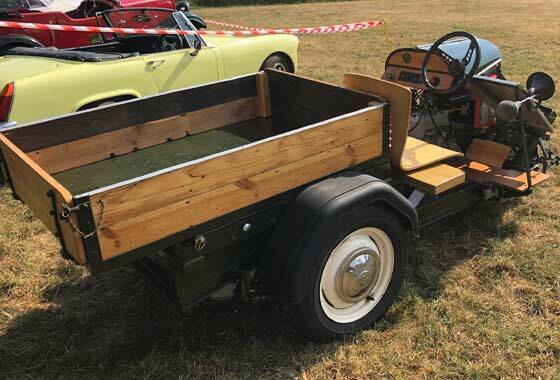 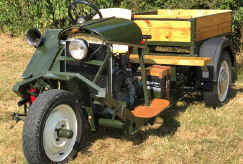 Also exhibited was a stripped-down Reliant buggy! 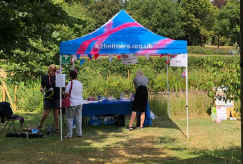 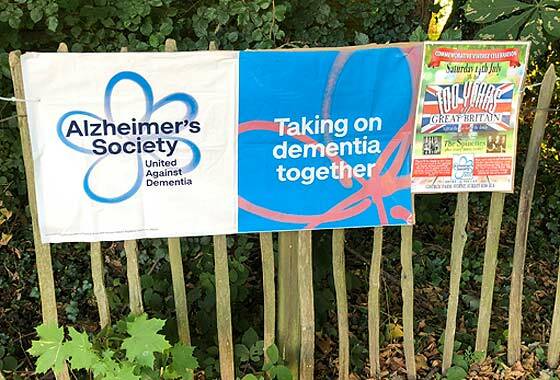 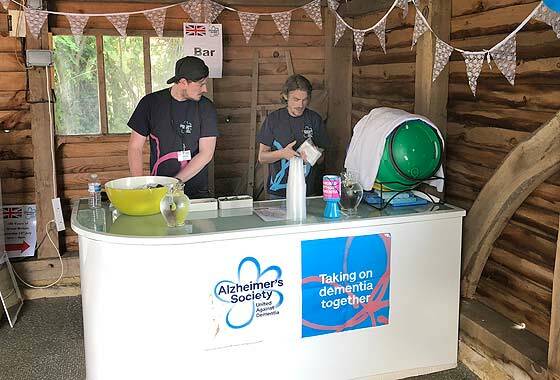 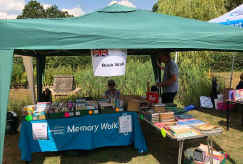 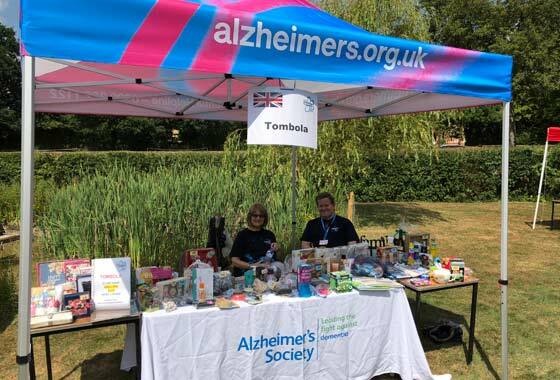 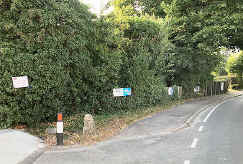 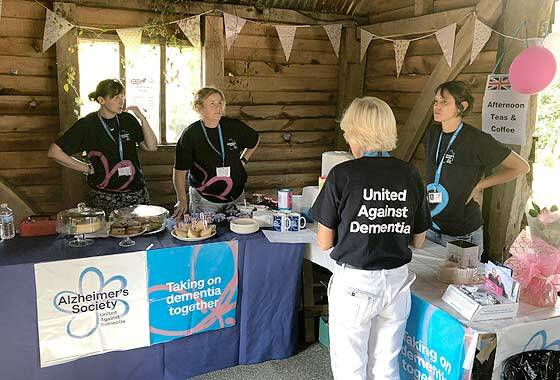 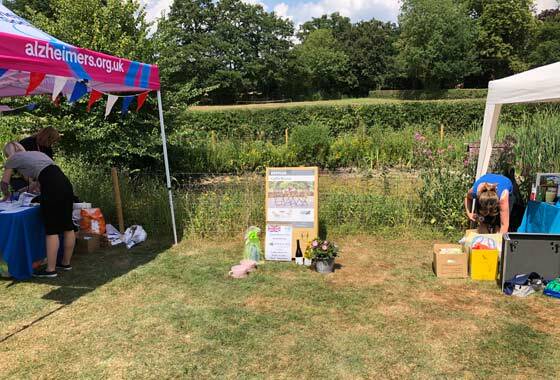 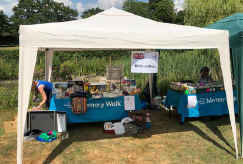 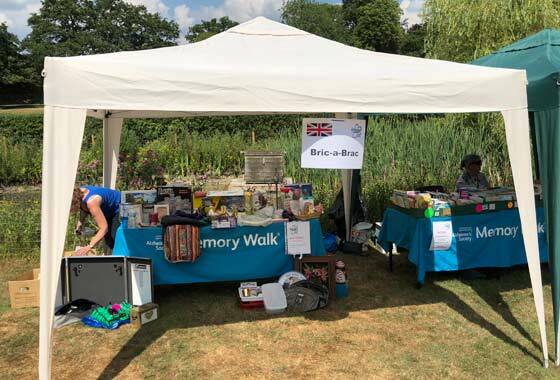 This was quite a major event for the local area Alzheimer's Society so a lot of planning went into the event and many volunteers were involved. 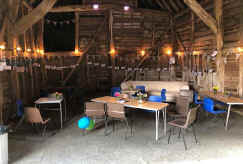 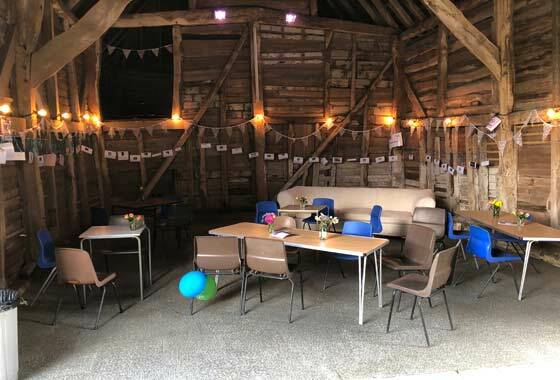 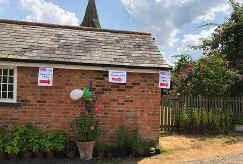 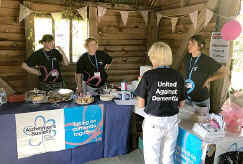 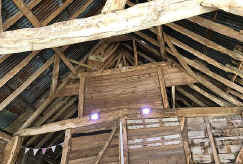 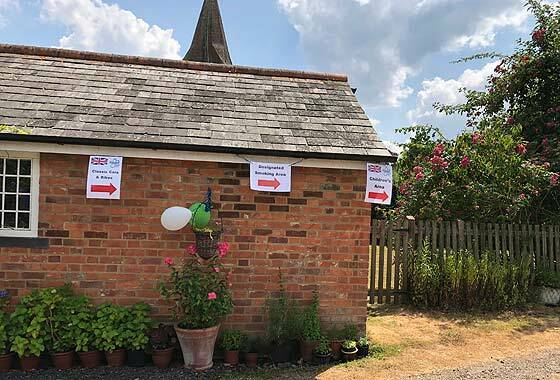 There were many activities and stalls scattered round the farm pond and there was real ale and real tea in the Tythe Barn. 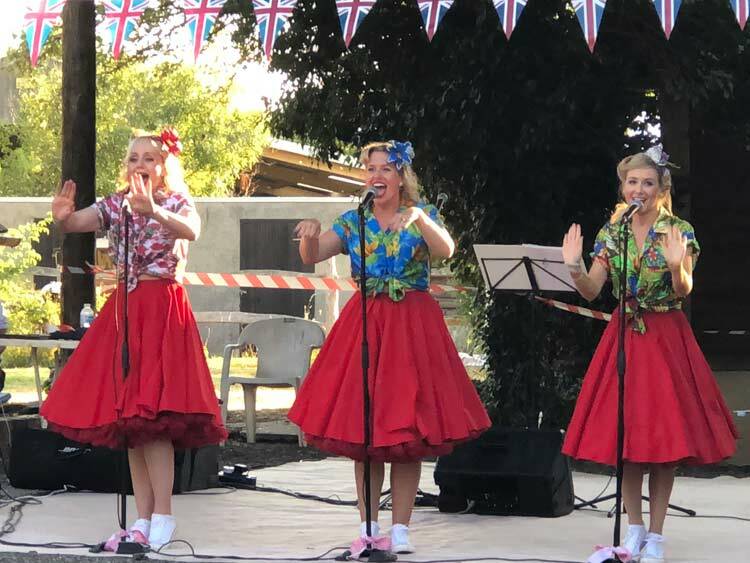 The main attraction of the day was a number of appearances by the singing group 'The Spinnettes'. 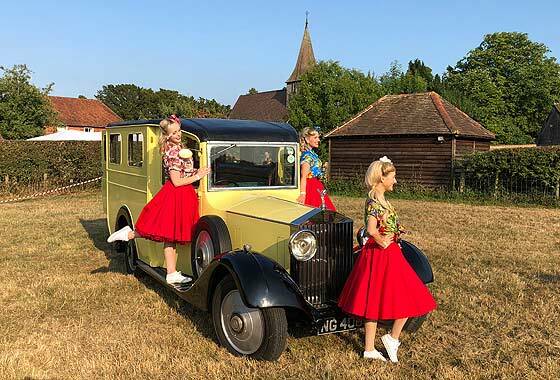 The Spinnettes is a bunch of glamorous West End Musical Performers who form trios for special events and sing 1940 to 1960 harmonising music; performing at such venues as the Goodwood Festival of Speed in appropriate forces uniforms. 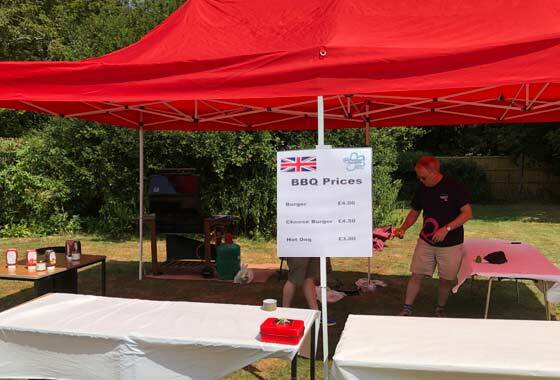 At this event they did four sessions with entire change of costumes in-between. 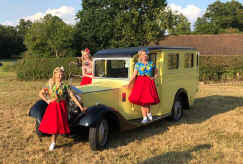 The music was brilliant and highly evocative of wartime and 'the Services', - and later of early rock-n-roll. 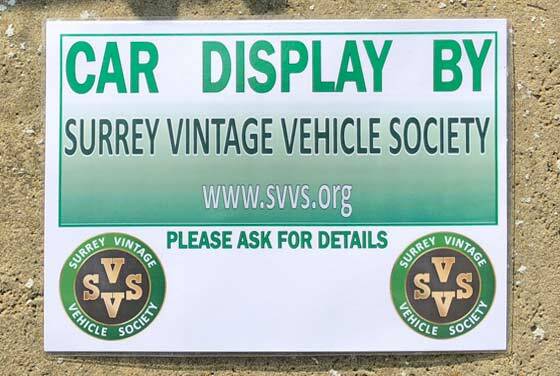 The event proved financially successful and the SVVS was pleased to play its part. 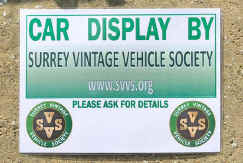 We have been requested however not to include any photos of the public or guests on this webpage.